QP’, an evangelical-charismatic church, is a changing church and recent years have seen significant growth which parallels spiritual renewal in the fellowship, preaching, ministry, outreach and worship. The church occupies two nearby sites: services are held in the Camphill Building at 20 Balvicar Drive and the offices are at 180 Queen’s Drive. 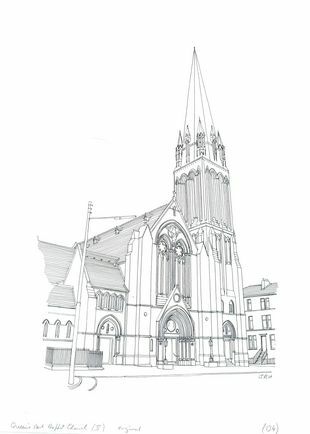 The Balvicar Drive Church is a French Gothic building with a tall spire designed by William Leiper, 1876. The Camphill Building is designed in Romanesque style by McKissack & Rowan, 1887. The interiors of both buildings have been significantly modernised and renovated to make them relevant places for Christian worship and work in the 21st century.